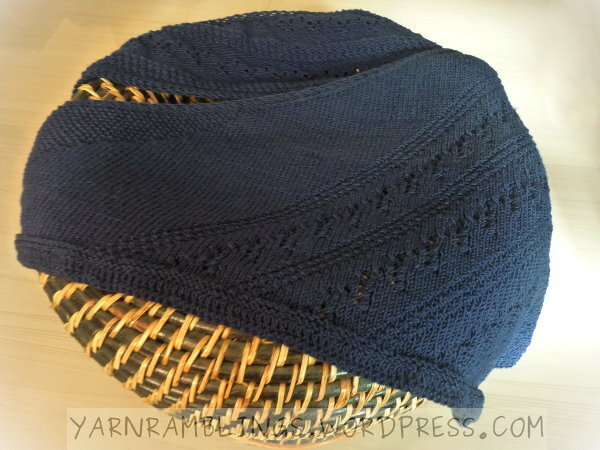 I needed a light shawl for the occasional cool day when a regular shawl would be too unweildy, but not so light that I shiver from the slightest gust. Enter Nako Comfort Stretch sport-weight yarn. Not having worked with elastic / stretchy yarn before, I must admit it was fun getting used to maintaining the correct tension while I knit. 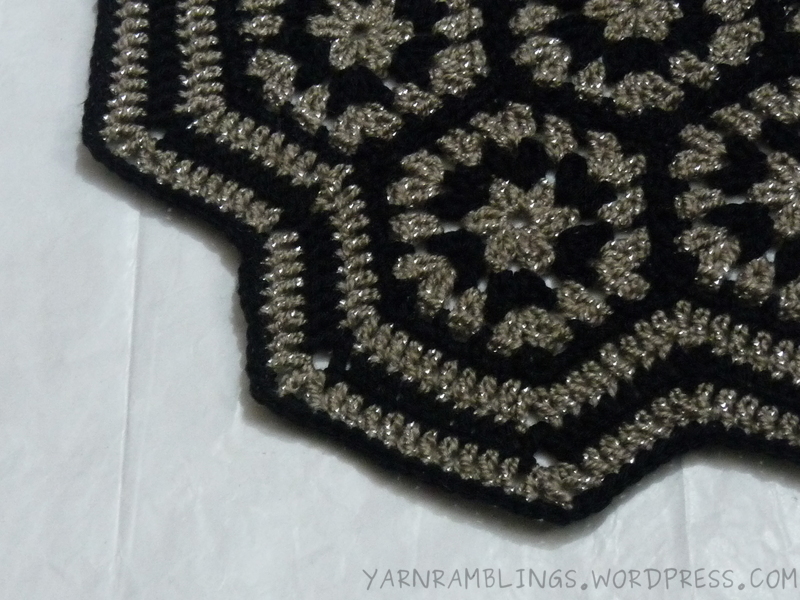 Once past that stage, it was a purely pleasant experience working with this yarn. And the results — my stockinette stitches from the yarn are the straightest, cleanest, most beautiful ones I’ve ever made. I’m going to buy more of it soon for a future project! For this shawl, I’ve used seed stitches for one section, stockinette stitches for another, and an eyelet pattern of my own making for the remaining. 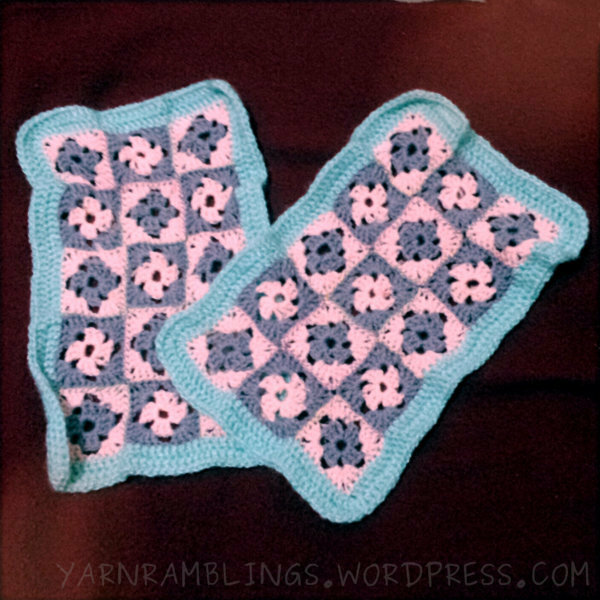 For the finishing, I used in-pattern selvedges + garter stitches for two of the edges, and double-crochet along the other. 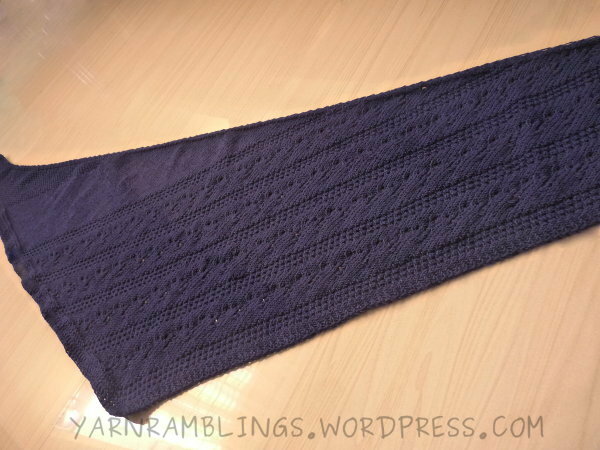 All three edges are of different lengths, and I decided to (unimaginatively) call it the ‘Scalene’ shawl. And for the first time, I tried the Charting charts that TECHknitter talks about for tracking one’s progress. I’ve never been much into diagrams, and used to make Excel trackers before I saw TECHknitter’s chart-charts; my Excel trackers, it turns out, were too-long versions of chart-charts. I like the alternative, easy-to-track representation provided in chart-charts, especially when it comes to patterns. 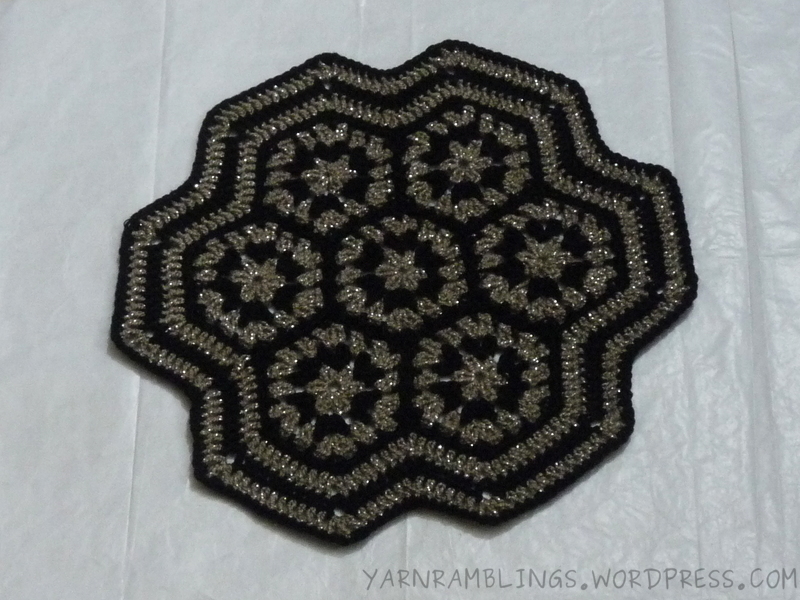 (And what knitting project doesn’t deal with patterns!) Needless to say, my pattern-heavy projects use chart-charts now! I’m trying to remember how old these pieces are. (The photo looks pretty old, but I assure you, I clicked it just yesterday using a retro camera app on my phone. Very retro, indeed! 😀 ) I almost can’t recall when I made these, but they’re at least a couple of years old. 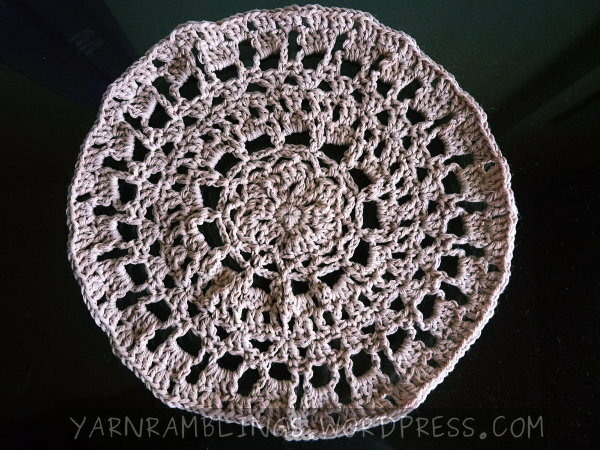 I can say for sure that I had just learned about granny patterns and knew squat about magic loops, because I remember being not too happy with the holes in the middle of the granny squares but letting it slide. I crocheted the squares from leftover yarn, and used whip stitch to tie them together. 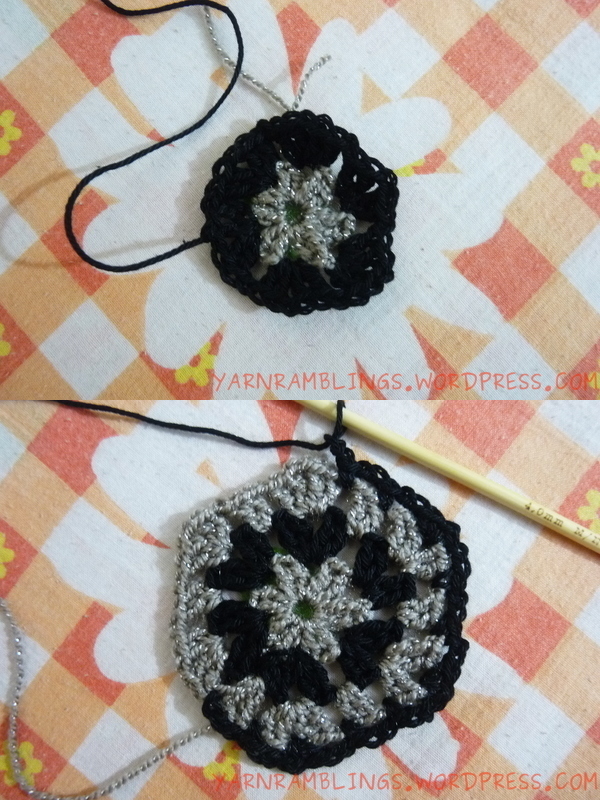 For the edging, I used two rounds of double crochet.